On July 21, 2018, the SDMIMD Toastmasters’ Club organized a motivational talk for the batch of 2018-20. TM Sujata Rajpal, an author and TEDx speaker, delivered the talk titled “It’s not as difficult, as it appears”. She shared her experience of dealing with failure and urged the audience to persist in their efforts despite difficulties that may come their way. Her talk was followed by a briefing on Toastmasters International and its activities by Distinguished TM Haris AW. He told students about the benefits of being a Toastmaster. The program was compered by TM Rahul Hirani, Vice President-Public Relations, SDMIMD Toastmasters’ Club. 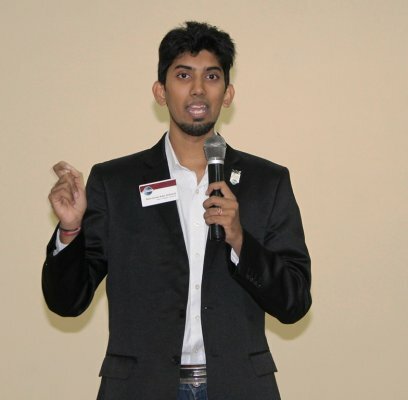 TM Sreerag Rajendran, President SDMIMD Toastmasters’ Club, delivered the welcome address. The meeting ended with a vote of thanks proposed by TM Dichin Sunder, Vice President Education, SDMIMD Toastmasters’ Club. TM Athul TP, Secretary SDMIMD Toastmasters’ Club and other members of the club were present. On June 24, 2017, the batch of 2017 was introduced to Toastmasters International. TM Rohit Koka delivered a motivational speech and told the batch of the benefits of becoming a member. TM Vedanth from the Infosys club spoke about the practical importance of the club and he cited examples of how members gained from the club and improved. The meeting was hosted by TM Madhavi Chouthai, Vice President-Education, SDMIMD Toastmasters’ Club. The meeting ended with a vote of thanks proposed by TM Anand. M. Dileep, President SDMIMD Toastmasters’ Club.